Black Pinstriped double-breasted waistcoat and 6 mother-of-pearl buttons closure and 2 double welt pockets Back lining w... Black Pinstriped double-breasted waistcoat and 6 mother-of-pearl buttons closure and 2 double welt pockets Back lining with elastic band to adjust width. 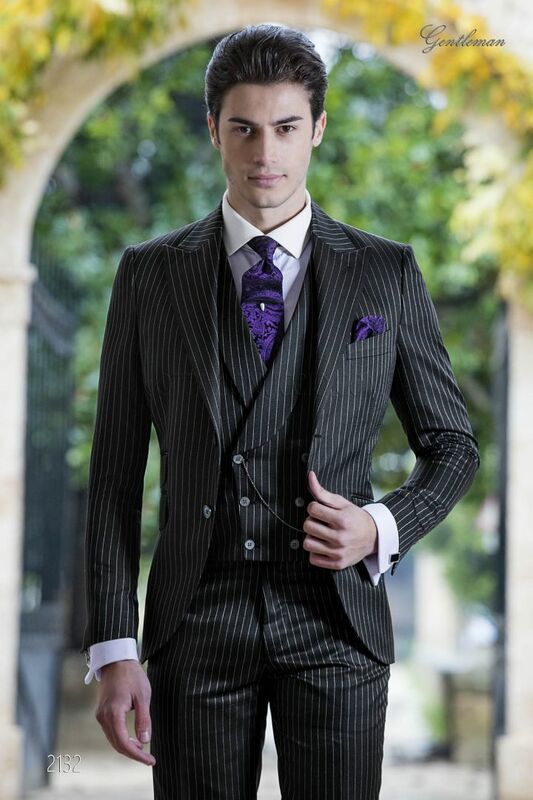 8.5cm tie and handkerchief set made from black and purple jacquard silk. Handmade.